The Legend of Zelda: Breath of the Wild Master Works, an official art book dedicated to Breath of the Wild, recently released in Japan. In addition to concept art and insights into the game’s development, Master Works also holds some surprising declarations from the developers. 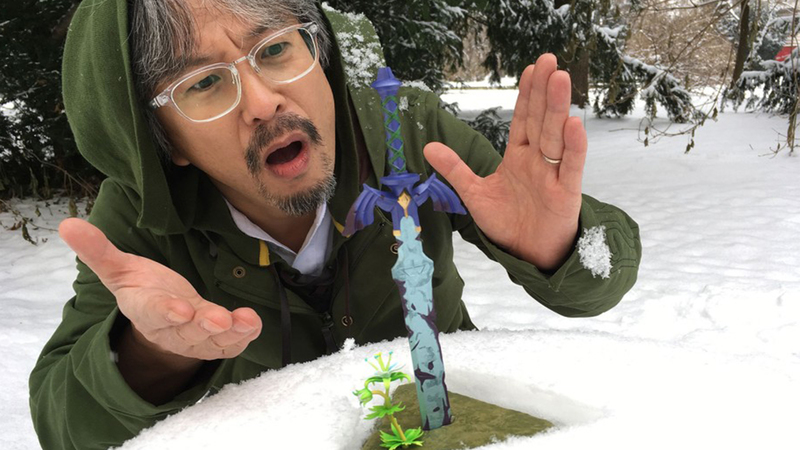 According to text translated from the new book, series producer Eiji Aonuma confirms that work on the next Zelda game has already begun. No further details about this new game have been reported. It’s not too surprising to hear that the Zelda team is already hard at work on a new game, as it has been nearly ten months since Breath of the Wild released. Development on Link’s latest adventure started right after the release of Skyward Sword in 2011. Master Works was announced in July as a follow-up to Hyrule Historia, Arts & Artifacts, and the Zelda Encyclopedia. The book is currently exclusive to Japan. Are you excited to hear about the next Zelda title? Share your thoughts in the comments below.